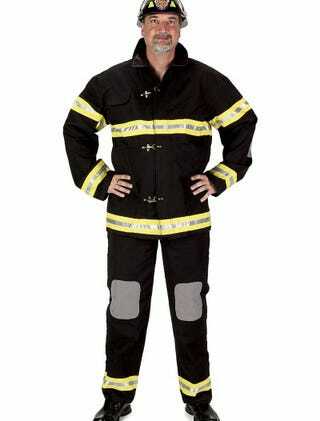 1) Comes with reflective elements which means you are much safer walking around at night. 2) Excuse to have your dog with you while out. Hey, they don’t even need to be a dalmation! 3) You get to wear a coat. It’s flipping cold outside by the end of October so having a costume with layers is a must! Plus you’re better set for inclement weather conditions. 4) Suspenders! Ever notice that by 3am your trousers have gone missing? Tighten them up and embarassing Vines staring your Ving Rhames are avoided! Want to be able to get out of your pants quickly (see #9 for details) then just keep them loose or dangling! Also, when you go inside you can take off the helmet and the jacket and still remain recognizable as a firefighter due to the suspenders. Quiet guy or incidental douchebag? You can rest your thumbs in your suspenders and slightly pull them out while you’re waiting around. This is a far cooler look than placing your hands in your pockets because its rare to see plus it gives you a position in which your arms are curled while your chest is pushed forward. That casual flex, kin! All this upper body presentation while the legs remain shrouded by baggy black slacks, it’s foolproof! 5) As you get dirty throughout the night you just look more authentic! Tell people you just rescued an orphaned animal from a burning shelter then point to your dog! 6) You could go shirtless but a fitted and clean black or navy blue T-shirt is 100 times sexier! White tees show sweat, so avoid those. Think cover of Men’s Health Magazine, but since you don’t have live photoshop just keep the shirt on. You can also wear your suspenders up, one off the shoulder, both down, helmet on, helmet off, jacket on, jacket open, jacket closed...really a lot of permutations here so that you don’t look the same from hour to hour throughout the entire night. 7) See someone dressed as a cat? Go rescue them! Actually this is a nice couple’s costume because it’s simple, logical, and completely unexpected! Just don’t make any “cat” jokes. Seriously...seriously. 8) You get to carry an ax, which is perfect for when you see those damn creepy clowns! Don’t wear Axe, in fact completely avoid that joke altogether. 9) If you’re going to be drinking then you’re going to be peeing, and there is nothing more entertaining than peeing while dressed as a firefighter! Just don’t forget to pull the hose back in when you’re all done. Alright men! Be courteous, be smart, and be safe out there. Let others make the double entendres and simply laugh, don’t supply them. Lastly, don’t forget to offer your jacket to any of the hundreds of people freezing their butts off in the name of Instagraming.